This class can format console output and parse command line arguments. 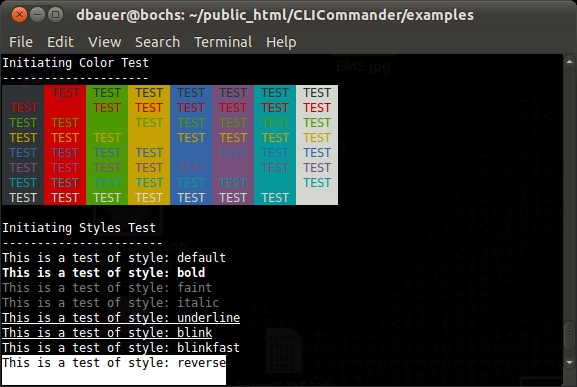 It can send commands to the console to perform actions to format the program output like defining the text foreground and background color, set the text style, set the terminal title, reset the terminal state, set the line and column position of the next text to be outputted, etc.. 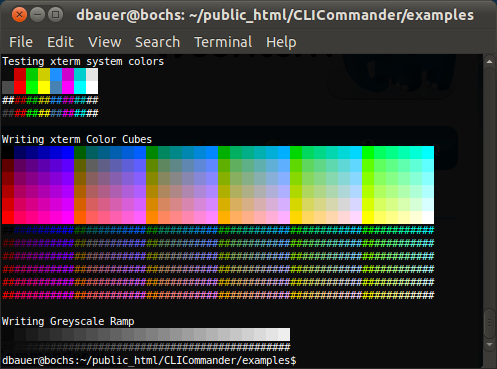 The class can also detect if the terminal is compatible with Xterm, is running a bash shell, and read characters and lines from the input. The command line arguments can also be parsed into arrays. having to include extentions such as ncurses.